via Variety: Michael C. Hall would like to make the leap from anti-hero to hero. Although talk of Netflix and writer-director Drew Goddard courting Hall to play the titular hero in the upcoming “Daredevil” series may be nothing but a rumor, Hall is still interested in portraying the man without fear. After eight seasons on Dexter, Hall said he’s seeking projects with short-term commitments. 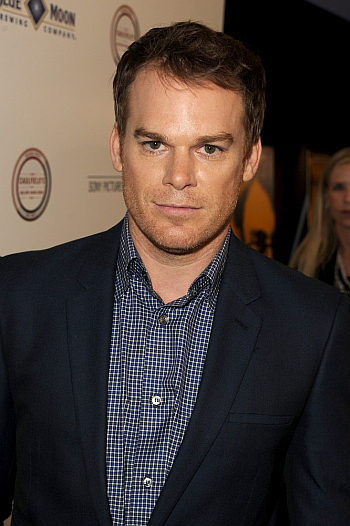 During the premiere of the “Dexter’s” final season last summer, the actor told Variety that he’s interested in upbeat roles. “I would love to do something a little more light-hearted and to find a way to not be surrounded by dead bodies,” he said. Daredevil will definitely see his share of corpses, but will not be nearly as maniacal as Dexter Morgan. Filming for the Netflix-Marvel Studios series is set to begin this summer in New York and premiere on the streaming site in 2015. Goddard will both write and direct “Daredevil’s” first episode, and serve as showrunner and exec producer for the 13-ep series.